Sarah Warby may have spent a chunk of 2012 on maternity leave, but the marketing director has already settled back in comfortably enough to poke fun at the chain's chief executive, Justin King. It is clear that operating-board member Warby feels genuine warmth toward King, who this week tried to quash rumours he might be leaving, and her immediate boss, commercial director Mike Coupe. After concluding her eulogy to King's abilities, she adds, 'please say that is not the headline: "Sarah blows smoke up boss"'. Warby's easy banter was honed in her first job, as an instrumentation fitter at a big steel works in Port Talbot, south Wales. 'It was me and 2000 men on site. It was quite fun really,' she reminisces. That experience stood her in good stead for an innovation role at Aussie beer brand Foster's, where she preferred 'a method-acting approach to insight' instead of consulting focus groups. This involved, for example, the Foster's insight team accompanying a group of six 'lads' for a night out in Edinburgh. 'I had my first and last experience of karaoke on one such evening,' she recalls. Warby is still getting stuck in, albeit minus the lads, lager and late nights. One afternoon a week she hits the road, visiting stores all over the UK. This is her way of immersing herself in the brand, as she admits to feeling 'still quite new'; she went on maternity leave seven weeks after her appointment at the end of last January, before returning in June. Looking forward to her first full year in the job, Warby declares that her priority for 2013 is 'my team, creating an environment for them to do brilliant work'. The Sainsbury's marketing department has been in flux for the past few years after the departure of several high-profile names. These include Mark Horgan, who was hired as marketing director but left in unclear circumstances before even setting foot in Sainsbury's HQ, head of non-food marketing Rebecca Singleton, and director of brand communications Claire Harrison-Church. Warby's team will include Mark Given, her former Heineken colleague, whom she lured from his position as head of sponsorship at O2 to fill the Sainsbury's head of brand communications role. 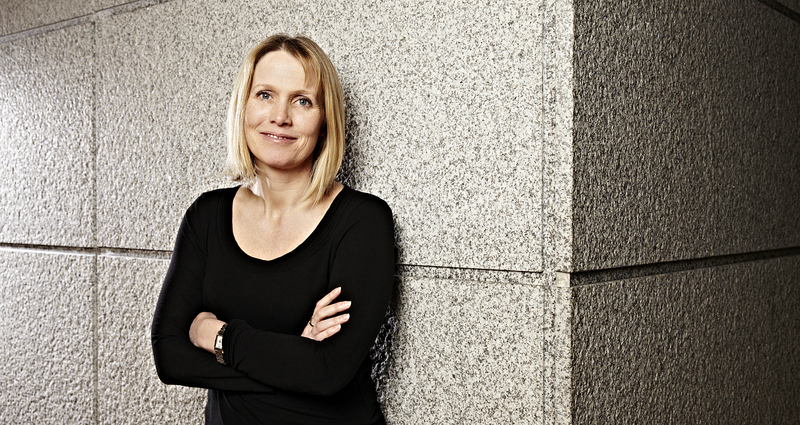 She also appointed Mindshare business director Sophia Weir to the recently created head of advertising and media position, while Lloyds Banking Group head of strategy Alex Owens has been poached to act as head of insight, with a brief to prove Sainsbury's is 'serious about helping our customers' by listening to them. 'What's next' is an evolution of the 'Live well for less' positioning, which was introduced in September 2011, through an increased focus on content creation. Warby cites the 'phenomenal' traffic to Sainsbury's Tu clothing brand's site as an example of the way that helpful content, including how-to guides, can help the retailer live up to its brand promise. She describes the site, which has no transactional element, as an 'information browsing hub' and argues that this type of content strategy is becoming a key component of the chain's marketing. Sainsbury's asked digital agency Dare to create a 'Christmas Days at Sainsbury's' site, featuring food and drink ideas and other content, in an attempt to ensure the offline and online elements of its festive campaign were closely aligned. The Sainsbury's digital and content teams have been merged because, according to Warby, 'if you are not feeling and acting like a publisher, you are missing a massive trick'. Head of online marketing Joel Dawson is leading the combined digital and content team, while former head of content Sarah Ellis is taking up a PR role as part of a 'broadening assignment', where staff are often moved around to gain experience in other departments. 'We are going to get more ambitious about what we can help people do without forcing ourselves upon them, because we are quite a humble brand. We know our place, really,' says Warby. The supermarket's expansion into non-food items, however, is anything but humble. No longer confined to the physical retail space, supermarkets have been limbering up for the past decade for an ecommerce arms race. Sainsbury's has stakes in the ebook, online film and music markets, and aims to develop such nascent strands of the business through what Warby calls 'nurturing hothouses'. There is also speculation that Sainsbury's plans to sell clothes online; Warby claims it is 'not in the immediate plan', but concedes it has not been ruled out. The push into ebooks was made possible by the chain's purchase of HMV's stake in ebook retailer Anobii for £1; its music download business, meanwhile, has been developed in-house following the acquisition of Global Media Vault for £1m in October 2011. Its online film-streaming service is yet to launch, despite Sainsbury's having initially planned to do so before the New Year. In this arena, it is up against the might of the UK's biggest supermarket, Tesco, which supports its Blinkbox film service with significant TV advertising. Asked whether Sainsbury's is likely to run advertising for its as-yet-unnamed service, Warby says her attitude is not to attempt to emulate the competition but to 'be a better us rather than try to be a worse somebody else'. This determination that the company plough its own furrow extends to her claim that it is not interested in the fight with Asda to be the UK's second-biggest supermarket. Sainsbury's says its own-brand investment is going from 'strength to strength' achieving 'tangible results' and claims its own-label penetration is increasing at a faster rate than any other major supermarket. It is also relaunching its core 'by Sainsbury's' range, with a plan to introduce 6500 'new' or improved products by April. While remaining 'respectful' of the competition, Warby is willing to wade into the controversy over Asda and Morrisons' Christmas ads. Both campaigns raised the ire of many consumers by featuring a 'mum' character struggling to single-handedly 'put on Christmas'. Sainsbury's, on the other hand, aired a 'mosaic' of 14 separate ads, created by Abbott Mead Vickers BBDO, highlighting the 'little moments' that make Christmas (see 'The campaign', below). 'We are really mindful of our 22m transactions a week - no two families are the same. What came out this year was the recognition of all the little rituals and therefore "mum as the hero" isn't the relevant message,' she argues. However, Warby doesn't rule out the possibility of a Jamie Oliver-era 'biggie' ad for next Christmas, because 'every year is different'. In the meantime, the chain's advertising focus will be on bringing the 'Live well for less' strapline to life. Although the phrase appears to have been chosen with the prevailing economic gloom in mind, Warby insists it is at the heart of the supermarket's raison d'etre. 'If you look at when John and Mary Sainsbury started the business, this is what they were trying to help people do, by selling butter that was safe to eat in the slums of (London's) East End,' says Warby, reflecting on the company's birth 140 years ago. While Asda and Morrisons' Christmas ad efforts were panned for perpetuating 'outdated' gender stereotypes, Sainsbury's took a different tack. 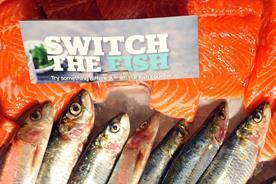 After parting with Jamie Oliver in 2011, the brand opted for a more down-to-earth creative style for Christmas 2012. Ad agency Abbott Mead Vickers BBDO created 14 separate TV spots to focus on the 'little moments' that make up Christmas. One showed a boy surprising his parents by clearing the dinner table, another a group of women preparing for a night out. Set to Through Frozen Forests, a track by up-and-coming artist Aaron Espe, the flexible nature of the campaign meant Sainsbury's was able to extend it to New Year's Eve. Lives Buckinghamshire with her husband and two young sons. 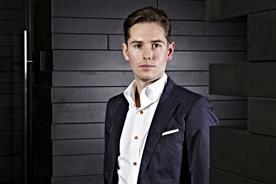 - Remaining up-to-speed as the company broadens its offering to cope with the ecommerce boom. 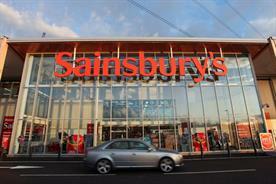 - Changing consumer perceptions about groceries being more expensive at Sainsbury's. - Bedding in a senior marketing team that does not have a traditional retail background.